The Hip Hoop knitting kit makes knitting fashion accessories quick & easy! It’s so super easy to knit hip fashion accessories with the Hip Hoop! 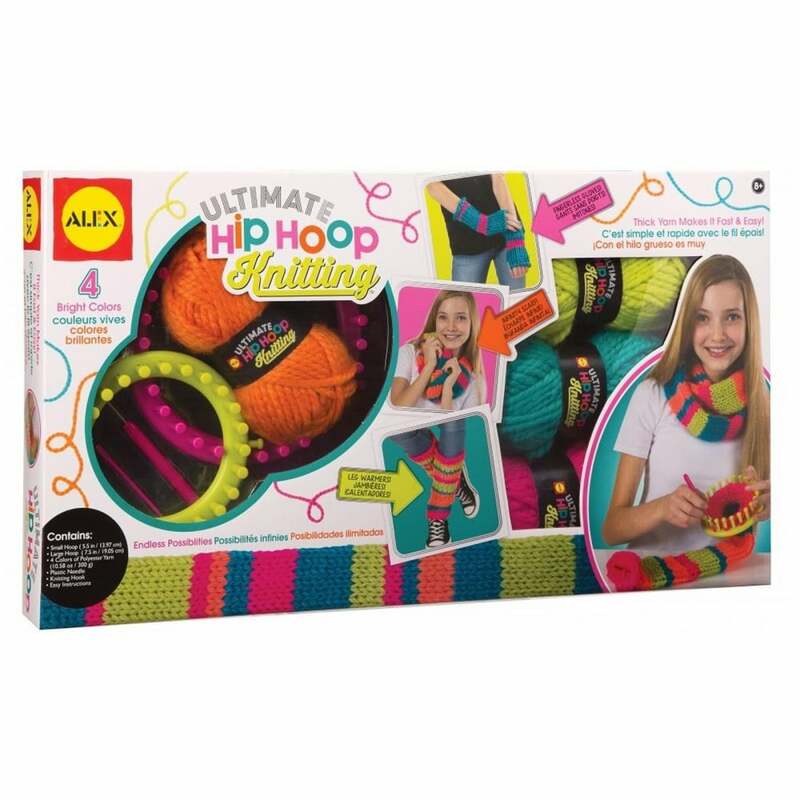 The kit contains 4 brightly coloured balls of yarn enough to knit fingerless gloves, leg warmers and an infinity scarf in awesome fashion colours.